The Gambia recently hosted the launch of one of the most ambitious telecommunications projects in Africa. 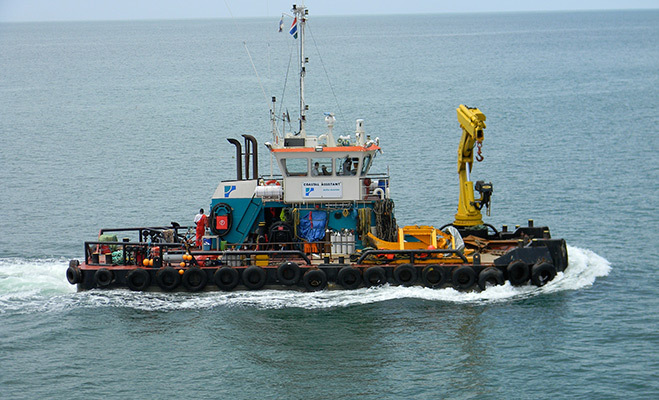 On December 19, 2012, up to 500 international policy makers, regulators, operators, vendors and service providers from across the world converged in Gambia for the historic launch of the Africa Coast to Europe (ACE) submarine cable. The ACE consortium, which is led by France Telecom-Orange, is made up of 16 members from Africa and Europe. The $700m cable will ultimately extend over 17,000km from Brittany in France to Cape Town in South Africa, at depths close to 6000m below sea level, linking Europe to Africa with high-capacity broadband connectivity. Ruggeri, who is also the Director of Networks Strategy and Submarine Systems at France Telecom-Orange explained that the system has a design capacity of 5.12 Tbps and is supported by the new 40 Gbps wavelength division multiplexing (WDM) technology. Hence making it possible to increase capacity as required and to adapt to the latest technological improvements by upgrading station equipment without any submarine cable modifications. The ACE system will also facilitate connectivity with terrestrial fibre optic cables. Increasing the network capacity will allow the reduction of the final subscription cost and will address the strong demand in these countries regarding the internet and mobile networks. ACE will also promote better network reliability as well as greater flexibility. Telecommunication experts say ACE will add to the portfolio of submarine cables in Africa and the world as a whole thereby complementing existing submarine cables. The cable will offer the West African coastal region excellent connectivity to telecommunications networks in Europe, America and Asia. Thus far the first phase of the system has been launched, segments one to three, which stretch from France to Sao Tome & Principe. The next phase, segment four, is now being launched for potential investors to participate in the Consortium. This will extend the cable system to South Africa and beyond, with branches in DRC, Angola and Namibia. ACE also aspires to further extend inland to landlocked countries as part of its strategy to expand within the African continent.